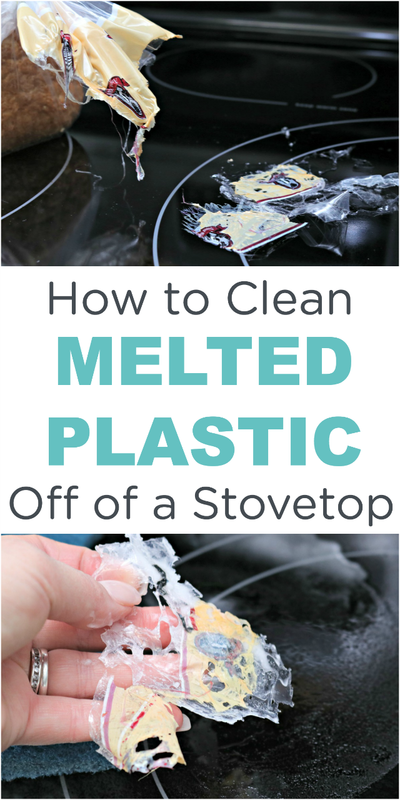 This tutorial showing How to Clean Melted Plastic Off of your Stove Top is a real lifesaver! Have you ever forgotten that your stove top was still warm and accidentally sat something on it? I seem to be a real pro at accidentally sitting things on a hot stove that have no business there. A couple of years ago, I mistakenly placed a loaf of bread on our stove, not realizing that it was still warm. I walked away to grab some lunch meat out of our refrigerator and almost immediately smelled burning plastic…not good. I turned around and saw that the bread bag had melted onto my stove top. In a moment of panic, I tried to use a wooden spoon to scrape the plastic off of the stove, but it wouldn’t budge. I sat down and tried to think of something that would remove it. I have to be honest, I thought that it was probably a lost cause. I grabbed some baking soda and vinegar and got to work. It literally took less than a minute to get the melted plastic off of my stove top, and it was soooo easy! Check out my latest article for eHow showing How to Easily Clean Melted Plastic Off of a Stovetop Burner HERE! This tutorial is an oldie but goodie! 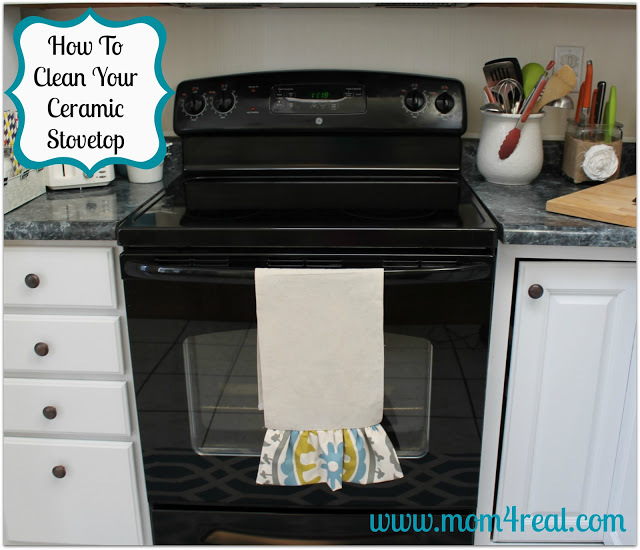 See how easy it is to Clean Your Ceramic or Glass Stovetop HERE! This one is also an older post, and a reader favorite! 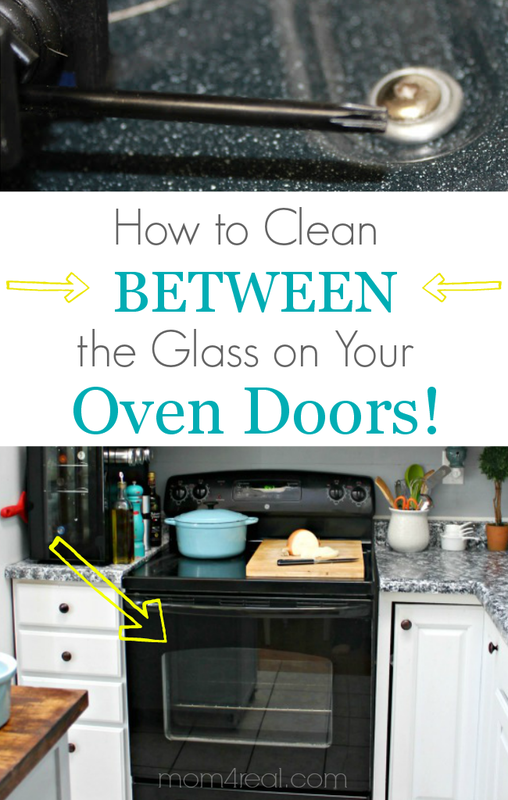 I’ll show you step-by-step How to Clean in Between the Glass of Your Oven Doors. Our oven racks get sooo dirty, especially since we make lots of pizzas and casseroles in there. 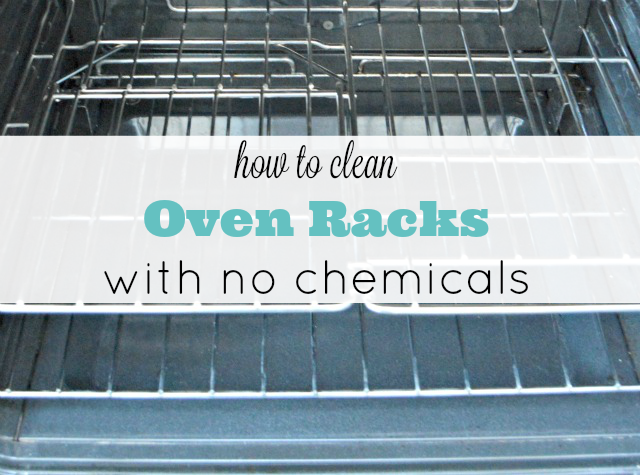 See How to Clean Oven Racks with No Chemicals HERE! 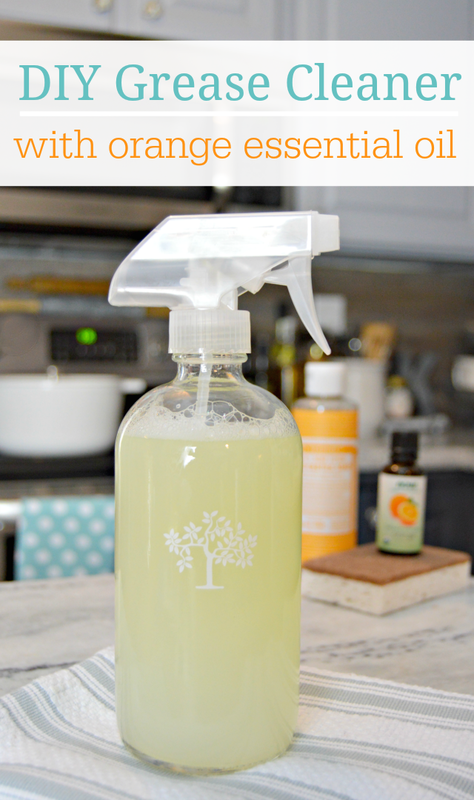 This Homemade Orange Degreaser Spray will make cleaning any messes in your oven as easy as pie! It contains Orange Essential Oil, which is an amazing all-natural degreaser! Add all of these tips together and you should have the cleanest stove and oven on the block! Any suggestion for melted on rubber? Do you have any suggestions for ceramic tile in the bathroom? I’m at my wits end. Hi Jessica – thanks for the suggestion. I followed your directions and the plastic came off quite easily. Thanks for saving our glass stovetop. Much appreciated! I really didn’t think this was going to work, but scraping with my wooden spatula wasn’t helping, so I gave your method a try. I was amazed at how easily the plastic came off! Never would’ve imagined. Went on to clean the rest of my cooktop since I was there. Thank you so much for your advice. I thought I’d ruined my new stove within the first week. Since mine was a much bigger plastic melt, it wasn’t exactly “easy” but it WORKED!!! That knot in my stomach is gone. Thank you! Accidentally set a taco container on still hot stove and thought I had ruined it. Saw your advice and it worked. Thank you, thank you, thank you. So happy I could help, Samuel! This is magic! Thank you so much, I was horrified when I realized I had set the tortilla package on a burner that was still warm! This method was SO EASY and everything came right off!! Thank you! While I was in the bathroom, my 3yo tried to make her own breakfast by putting the bag of bread on the burner and turning it on. Thankfully, when it started to smoke & burn my 4yo ran to get me. The damage was done. I thought I’d have to buy a new stove. I tried this and it worked! I had a large burn and lots of melted plastic, but with a large amount of good old elbow grease, my stove top is clean again. This worked great! Thanks so very much! Excellent! My stove was much worse than what is shown in the pictures. It was a little work but came off beautifully. Thank you!!!! Took several attempts and a bit of elbow grease from my husband and I but worked!! Thank you, Thank you!! You saved our new stove. I told my Husband that I was leaving him for you. Lol. You’re amazing. Jessica, thank you for this post. It worked! And as a result, you saved a painter’s live. Let me explain. I had a painter coming in this morning to paint my kitchen. I cleared everything off and draped a plastic drop cloth over the granite counters and glass-top cook top. Then I went grocery shopping. He was done and gone by the time I returned. As I am setting down my grocery bags, the first thing I see is a hole the size of my burner in the plastic. Then I realized the plastic had adhered to the stove top. I tried peeling it to no avail. I warmed it back up a little (don’t do this!) and it just spread the plastic out farther. I was ready to strangle the guy. Then I went to my computer and typed my dilemma into the browser. And there you were so save the day. It didn’t come off in a chunk like in your picture. I had to scrub. But it did come off 100%. Random question: what’s the model number of this stove? Thank you! My son tossed his ROBE on the hot stove this morning and it melted right to it! I was panicked as we have only has this stove for about 10 months! This worked like a charm! Thank you for sharing and saving me!! Just wanted to say thank you – you seriously just saved me $1200. My 92 year old mother apparently set an entire box full of baggies on the stove and left. We have a blob of a mess so going to try this and assume it will take several applications. Will let you know as mess is about an inch thick. THIS WORKED LIKE A CHARM!!! I was totally blown away in delight. The vinegar and baking soda totally worked! I only had apple cider vinegar but it worked just the same! It took the burnt plastic right off my flattop stove! It took two rounds but it’s all gone! Thank you!